tldr; Our packages should be grouped by purpose instead of by collection. 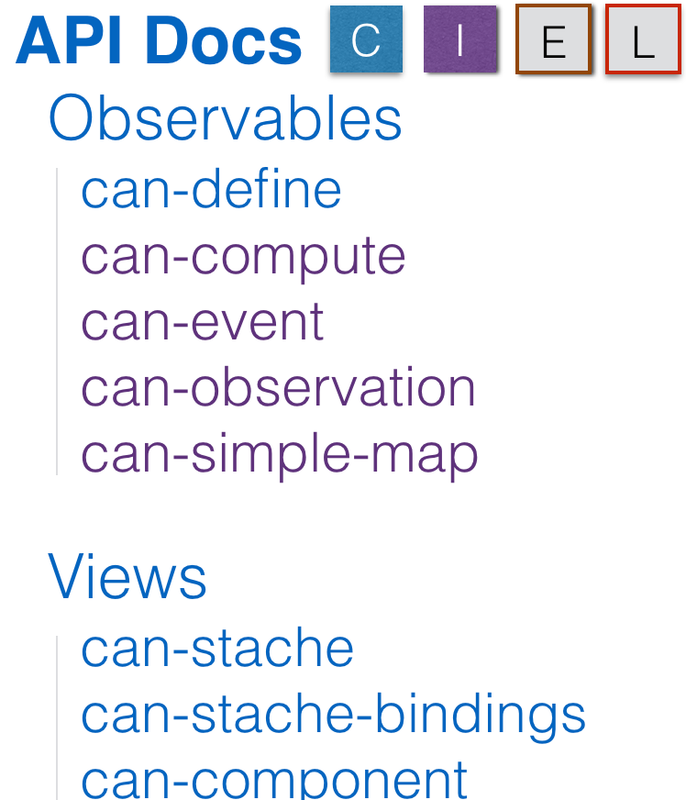 This proposes to reorganize the documentation and give new users a more simplified understanding of CanJS. It's primarily organized around collection (quality and likelyhood of use) instead of purpose. Listing 60 packages makes CanJS seem way too big. Most of these packages they will never have to use, or use very rarely. While being organized by collection is useful at focusing people's attention on what they will primarily use, it does little to inform people what a given package actually does. 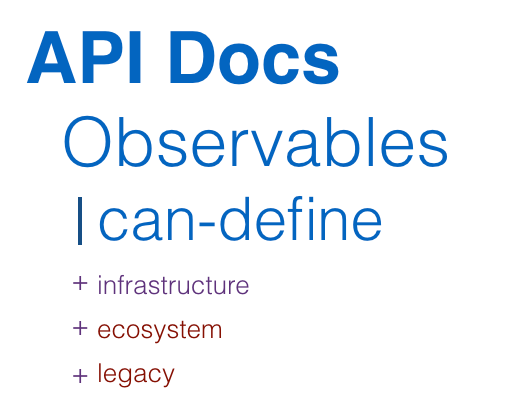 I would like to group our packages by purpose while still retaining the ability to "focus" new users on the APIs that they need to know. 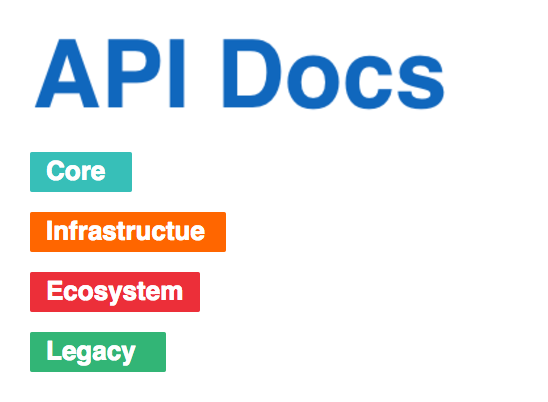 If someone clicks directly a link like "can-map", the API Docs should only show modules in their collection. If multiple collections are shown at once, we should sort packages first by collection, then by name. Collection icons should be color coded to show how "safe" a collection's tools are. 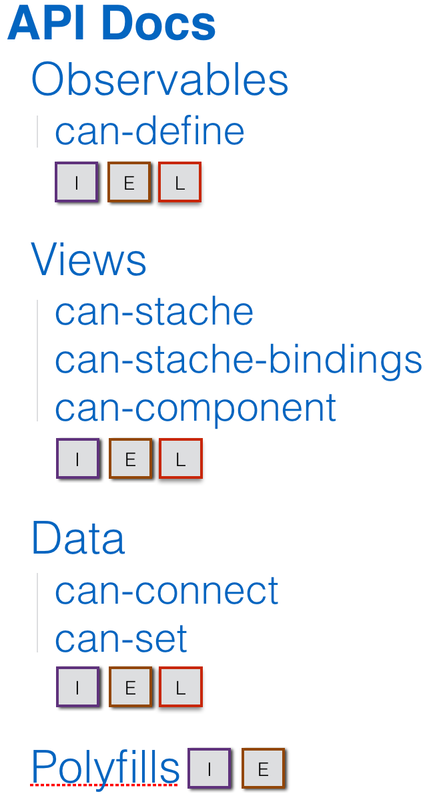 We will probably need some form of the sidebar's data (or a reduced docMap) provided to the client. 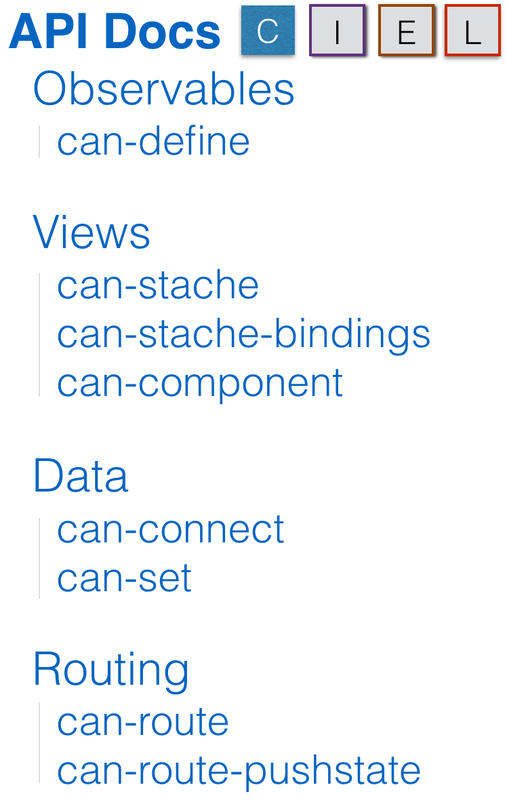 I think we should implement this entirely in client-js first, then maybe make pages get generated with the sidebar. - Change every package to have a "purpose" group and tag it with its collection. - Make the sidebar able to load at least the packages graph. Possibly have the sidebar completely generated in the client. Having the collection toggle at the top might be annoying because you wont be able to see what's there. Do we hide groupings that aren't present? If we remove most helpers to another project #3426 how does that change things? 2.) Show colored squares next to each package according to group they belong to. 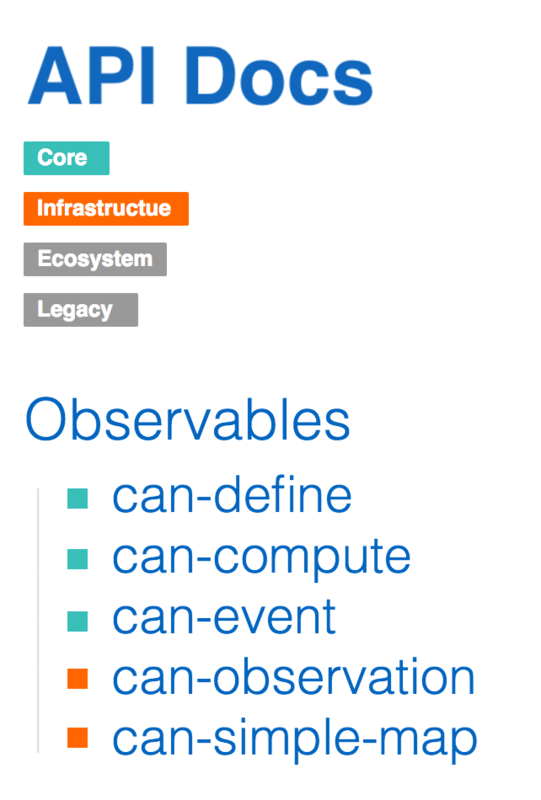 In the example below, ecosystem and legacy have not been selected. Note that the color for each group would needs more consideration, I just picked some random colors to show this concept. @adrifolio's idea looks very nice, but please remember colorblind users. Perhaps icon bullets and an outline style for inactive?